Lecturer at the Law and Political Science Faculty of the American University of Afghanistan (AUAF) & was lecturing at the International Relations Faculty of Afghanistan Institute of Higher Education (UofA). Dr. Mohammad Mirwais Balkh was born 1982 in Balkh Province. He joined Ministry of Foreign Affairs, Islamic Republic of Afghanistan in May 2013 and served as the head of Africa and Middle East Desk in the Center for Strategic Studies (CSS) and as the Chief Editor of the CSS’ Quarterly Journal of Strategic Studies. Dr. Balkhi also worked as Deputy Director General of First Political Division (India & South Asia) from 2015-2016. 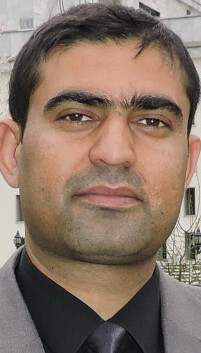 Mirwais Balkhi holds a Ph.D in International Relations (with specialization in West Asian Studies) from Jawaharlal Nehru University in New Delhi India (2007-2014).